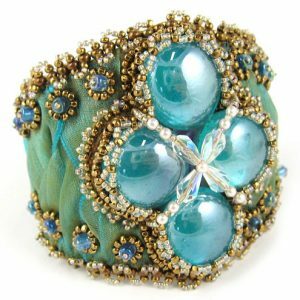 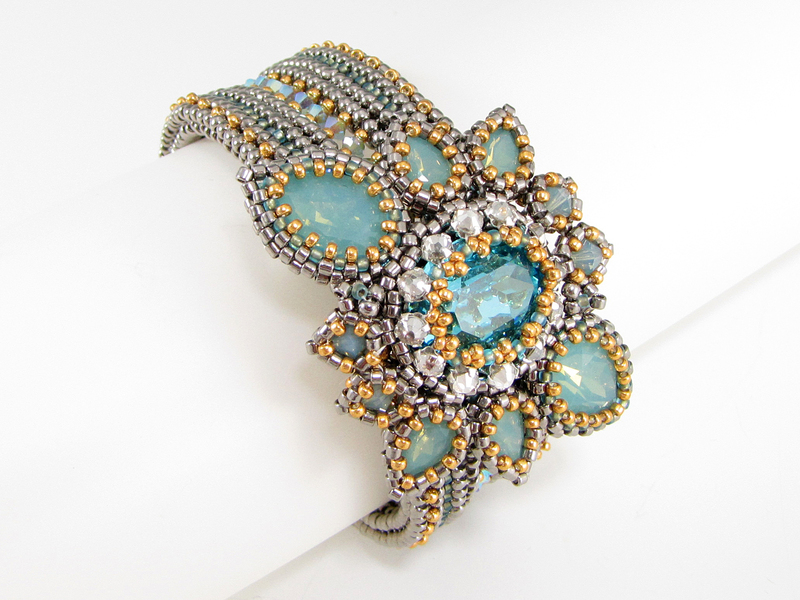 This elegant retired workshop bracelet project combines right angle weave, peyote stitch, netting, and tubular herringbone stitch for a stunning statement piece reminiscent of formed jewelry. 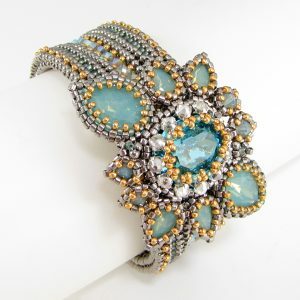 The focal centerpiece is removable so you may wear the elegant wristband alone for a simpler look. 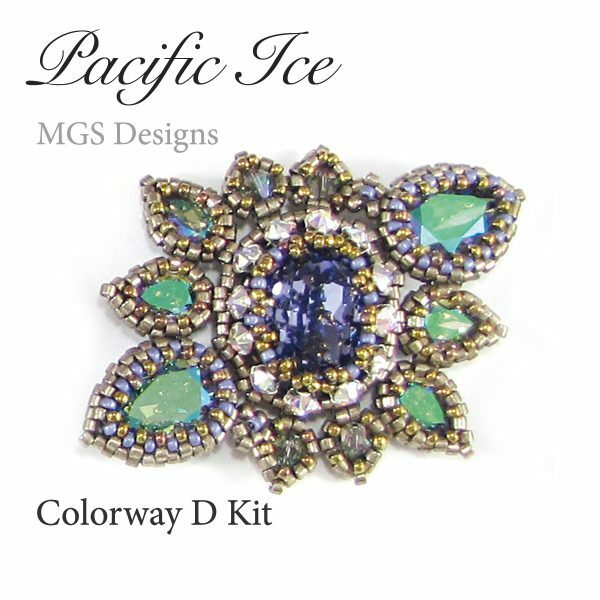 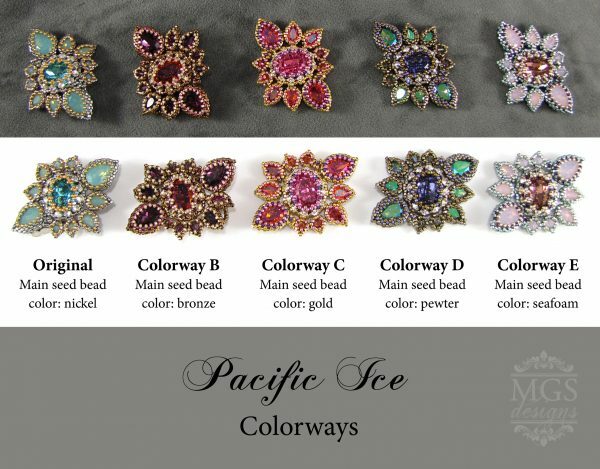 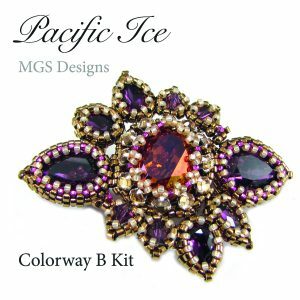 The colorway is pewter seed beads with purple and green accents, a tanzanite center stone and paradise shine side stones.